VIJAYWADA: Andhra Pradeshchief minister Chandrababu Naidu will lay the foundation stone to SRM University in Amaravati on November 24. Explaining the latest developments here on Tuesday, CRDA commissioner Cherukuri Sridhar said land to SRM will be given in two phases of 100 acres each. "SRM will setup university campus with 17,000 students by end of first phase in five years and 52,000 students by the end of second phase in 10 years. This campus would include a medical college and university," he said. Earlier in the day, the state council of ministers approved for lease rate stabilisation of 14.2 acres belonging to Sri Durga Malleswara Swami Varla Devasthanam in which PB Siddhartha Collegeis being run. The government decided to stabilise the price to Rs 1.5 lakh per acre annually with an increment of five percent every three years. With this revision, PB Siddhartha has to pay Rs 21 lakh annually for the land hereon as against the Rs 1 lakh being paid till now. It is anticipated that over the course of ten years the University will have over 30,000 students and 2,000 staff capable of fostering research, innovation, and entrepreneurship. SRM University AP – Amaravati will be organised into five faculties: Engineering; Science, Humanities and Liberal Arts; Management; Law; and Medicine and Health, and aims to set up incubation and start–up centers based on interdisciplinary research themes creating a world class research institution which will influence other universities across the state and attract global investments. In addition to this it aims to build and develop high-quality collaborative initiatives with industry that will mutually benefit both parties in the development of new technology and products. SRM University, AP – Amaravati aims to supplement the skills development initiatives of the government, enhance the economic prosperity and employment rate of the local area, and provide technology leadership across the country, thus having a dramatically positive impact both regionally and nationally. SRM University, AP – Amaravati has already hired the internationally renowned American Architecture and Consultancy firm Perkins + Wills to design the new Amaravati Campus. Here the University aims to not only build a high-quality research intensive institution but also to integrate new technologies into the student experience and teaching methods to provide both students and staff with cutting edge facilities of a global standard. In addition to this, SRM University, AP – Amaravati will be hiring an external management consulting firm who will be responsible for evolving, formulating, tracking and facilitating the roll out the new Business Plan which will be benchmarked on the world's best universities. This Plan will involve the development of the Institution's strategy, which will include areas such as advocacy, outreach, and global connections and will seek to strengthen the activities and capacities of education, research, innovation, creativity, entrepreneurship and philanthropy. The Organization structure and Governance would steer the strategic intends emulating top-notch university. We live in an increasingly interconnected world that faces challenges and complex problems on a global scale. At the start of the 21st century, SRM Group is uniquely prepared to tackle these challenges through its breadth of scholarship; its entrepreneurial heritage and pioneering faculty. The era of globalisation means many things to SRM: undertaking research and real-world approaches on issues relating to science and technology; exchanging ideas and collaborating with global universities; and providing overseas opportunities for undergraduates and staff alike. SRM has the ambitious plan to build and create a new research intensive University in Amaravati, the People’s capital of Andhra Pradesh. Envisioned to be a University of world-class standards SRM University, AP – Amaravati is to be a globally connected and regionally transformative centre for research and education at the heart of a new, modern, vibrant metropolis. At a pivotal moment in its history, SRM stands united in its commitment to build excellence across the institution and its aspiration to compete on the world stage. With this we are looking for the inaugural Vice-Chancellor of the SRM University, AP – Amaravati who will be an integral leader in the creation and development of the new University and will play a major role in determining its strategy and direction. The University’s highest priority is to appoint a Vice-Chancellor who will be an outstanding leader engaging all our communities in developing, creating and implementing a vision that reflects the uniqueness of SRM, and sets the direction for growth, consolidation and change. The ability to influence and maintain positive relationships with all our key external stakeholders will be essential. The Vice-Chancellor will promote SRM both nationally and internationally, sharing our achievements in research and education; knit together our extensive network of students, friends and alumni; and raise funds to secure the University’s future. I hope this information pack encourages you to apply for this most important position and I look forward to considering your application. Thank you for your interest in SRM University, AP – Amaravati, India. SRM University, AP – Amaravati is to be a world-class, globally connected and regionally transformative centre for research and education. It will be at the heart of the new Amaravati City of Knowledge, a modern, vibrant metropolis within the Indian state of Andhra Pradesh. The new Capital City will not only host world-class educational institutes but will enable international private universities like Stanford, Harvard and Oxford to foray into India and Andhra Pradesh either through the creation of direct campuses or through collaboration with others. SRM University, AP – Amaravati will be designed from the onset to be a highly interdisciplinary institution and to have an internationally recognisable philosophy and governance structure. It is essential that the University reflects the SRM University values of promoting fundamental research, encouraging basic learning, and rewarding academic and research excellence. The University’s strategic position right at the heart of the Amaravati City of Knowledge allows, in addition to fundamental research, the promotion of technology transfer, the stimulation of business innovation and the establishment of knowledge dissemination which aims at addressing pressing societal needs both within and outside Andhra Pradesh and India. Alongside research, as is the case for all selective universities, one of SRM University, AP – Amaravati’s primary products is the development of human talent. Indeed, it is the creation of a critical mass of a new talented generation of technological leaders which would enable the establishment of an effective knowledge-based economy in India and the region. The success of the city of knowledge is critically dependent on the quality of both the University’s administration and faculty driving the creation of human talent. To this end, SRM University, AP – Amaravati has the ambition and resources to commence recruitment of some of the world’s top academic talent and is currently seeking an exceptional Vice-Chancellor and its inaugural senior leadership team. Phase Iwill concentrate on the first five years of development and will see a capital investment of US $300 million and an additional $45 million of investment in laboratories and research funds. This phase will primarily be focused on building critical mass of both staff and students within the Faculties of Engineering, Science, Humanities and Liberal Arts, and Management. Phase II will concentrate on the second five years of development showing continued growth in the Faculties of Engineering, Science, Humanities and Liberal Arts, and Management, and additional growth of the Faculties of Law and Medicine and Health. This will see a capital investment of US $275m and an additional $50m of investment in laboratories and research funds. Amaravati, the People’s capital of Andhra Pradesh, is the new de facto seat of governance of the Indian state of Andhra Pradesh, one of the 29 states of India, situated on the south eastern coast of the country. While Amaravati is currently under construction to become the capital of Andhra Pradesh, Hyderabad will remain the joint capital of both Telangana and Andhra Pradesh for a period of no longer than ten years. The Master Plan for Amaravati proposes nine themed development cities within the Capital city, which include the Government city, Justice city, Finance city, Education and Knowledge city, Health city, Sports city, Cultural city, Electronics city and Tourism city core which have been strategically planned across the capital city. Each of these cities will be a hub of activities serving a unique function and role within the capital city. Envisioned to be a city of world-class standards with a vision of increasing Andhra Pradesh’s prominence in the world, the Capital Region Development Authority (CRDA) is leaving no stone unturned to provide cutting-edge infrastructure for Amaravati. Development work for the new capital of Amaravati has begun with the allocation of land to various institutions and the foundation stone of the City was laid in late 2015. The government has already decided to allot 200 acres to SRM University and 150 acres to the Indo-UK Medical Institute and Hospital, and to another 25 companies seeking land to start their projects in the new capital. The Capital Region Development Authority has also allotted 25 acres of land for a Bio-diversity Museum and a Biodiversity Experimental Park in Sakhamuru village in the Amaravati capital region and is planning to establish an Amaravati heritage conservation town in the new capital. In addition to this, SRM University, AP – Amaravati will be hiring an external management consulting firm who will be responsible for evolving, formulating, tracking and facilitating the roll out the new Business Plan which will be benchmarked on the world’s best universities. This Plan will involve the development of the Institution’s strategy, which will include areas such as advocacy, outreach, and global connections and will seek to strengthen the activities and capacities of education, research, innovation, creativity, entrepreneurship and philanthropy. The Organization structure and Governance would steer the strategic intends emulating top-notch university. To emerge as a world-class university in creating and disseminating knowledge, and providing students a unique learning experience in their chosen field of scholarship that would best serve the society. Develop an inter-disciplinary university combining academic rigor, excitement of discovery, creativity, and entrepreneurship. Deliver world-class, research-based education, creating new knowledge and innovations. Provide an inspiring and stimulating environment for diverse campus community of faculty and students. 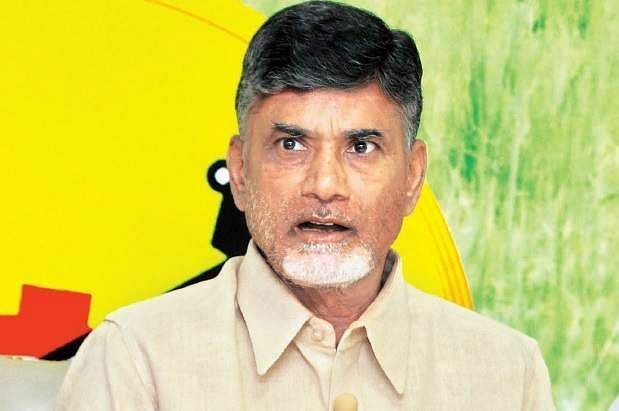 VIJAYAWADA:Chief Minister N Chandrababu Naidu on Thursday unveiled the master plan for the Amaravati campus of SRM University, which is set to start its programmes from August this year. Apart from offering courses in engineering, management, law, medical sciences, pure sciences and liberal arts, the Amaravati campus of SRM University is launching an incubation centre SHRISTI — SRM Habitat for Research & Innovation in Science & Technology — for Industries to make its university a hub of innovation of development. SHRISTI aims at creating 100 companies and generate 10,000 jobs in the next 10 years. This innovation centre will provide customised built-up space and research infrastructure with support services. Earlier, during a meeting with Capital Region Development Authority (CRDA) Principal Secretary Ajay Jain and CRDA Commissioner Ch Sreedhar here on Thursday, representatives of the SRM University gave a presentation on the campus master plan. They explained about the construction of academic blocks, hostels and faculty quarters in an extent of 6.75 sqft area. SRM University officials said that they will complete the construction works at the earliest and will give admission to 550 students in four branches under first phase in the Amaravati campus. SRM University president Satyanarayanan, registrar Sethuratnam, Prof Narayana Rao and others were present. It may recalled here that the State government in principle agreed to give 200 acres in two phases to SRM University at Neerukonda village in the capital region of Amaravati. As per the agreement, the SRM University will set up campus with 17,000 students by the end of first phase in five years and 52,000 students by the end of second phase in 10 years. This campus would also include a medical college and university. Though, Chief Minister was scheduled to lay foundation stone for the construction of SRM University in November last year, it was cancelled with the university management failing to submit the designs of the buildings.